Conveniently located along the K-96 Corridor between Wichita and Hutchinson, the City of Haven, Kansas offers a small town atmosphere and relaxed quality of life. Enjoy local K-12 schools, grocery, dining, and retail, with easy access to larger city amenities and employment in as few as 15 minutes away. The 2019 Consumer Confidence Report regarding the City's water system is now available. You may view it here. If you're a current water customer, you should receive one in the mail as well. 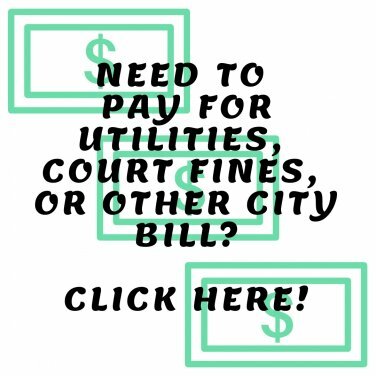 Otherwise, please contact the City Office at 620-465-3618 if you require a paper copy.  Check out sidewalk installation and other plans being undertaken by the Safe Routes to School Project! Construction to start in 2019. 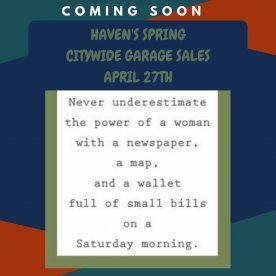 Haven's Citywide Garage Sales are this Saturday, April 27th. Click below to view the map! Wanna know what happened at the most recent Council meeting? Check out the Council meeting minutes!